Mechanical gun safe is the standard and most widely used gun safe in the world. Most people still gravitate towards this type of gun safe. The electronic lock is more modern than others, but a lot of people still do not trust technology and they refuse to move forward with society. Actually, there is nothing wrong with the mechanical gun safe, but users are not taking advantage of all the features associated with these safes. To give you better idea of the fundamentals of the mechanical safe, we have done research and decided to give you a few tips on understanding a mechanical gun safe. 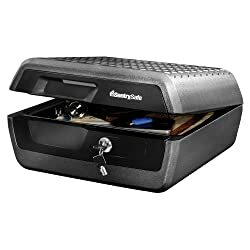 Overall the mechanical lock gun safe is the best option in case of price rather than the new electronic lock gun safe and even though the biometric lock gun safe is rated as the fastest way to unlock your safe, it may still sometimes be faulty and full of flaws. When you look at the mechanical safe for your home, you will notice two different types of mechanical safes. These are the safes with tubular locks and the standard key lock safes. Let’s look at the key differences. The tubular mechanical lock gun safe is the newer model and will give you a tubular shaped combination lock. While these may seem better, you will need to remember the code and some of them will not give you the added benefit of a key. 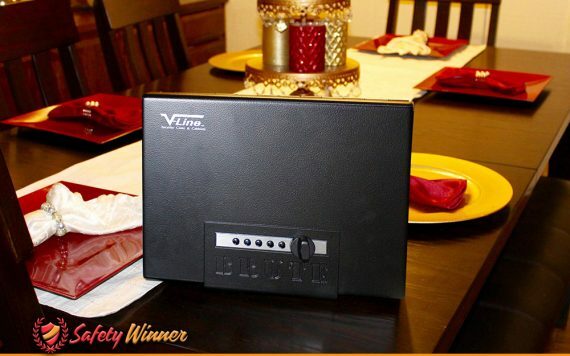 These safes are much harder to crack and people will find the protection to be a little better than the key safe. Most of these safes are great for storing your valuables, but we do not really recommend them for storing firearms when you need quick access. The key lock gun safe is the older version, but it will still give you quicker access to your firearm in dangerous situations. Another benefit offered by this locking style is the fact that the lock will not be damaged by fire and the entire safe is made from solid steel. On the downside, you will always need to know where the keys are to ensure that you do not get caught out. The keys may also be a problem, as they can easily be identified and stolen and this will pose a serious threat to your valuables. Overall, the key lock is the better choice when you need quick access, but the tubular lock will be better for security and to ensure that you lock cannot be picked. Now we would like to give you a few tips on how to get the best out of your mechanical safe. Learning the following benefits will make you confident with your mechanical lock gun safe. Also these will ensure that you get maximum efficiency from your safe and that you are really satisfied with your item. Unlike electronic locks, mechanical locks can come in different forms. The tubular and combination lock, for instance, will take a lot more concentration and may be harder to unlock in times when you need quick access. The key coded lock is the old favorite and the trusty old lock type that everyone reverts to in their default mode. The key coded lock may be trustworthy and ensure that you always have access to your safe, but this will also force you to always have knowledge of where the key is. Once you lose track of they, you may render the entire safe useless and you will need to find a lock specialist to unlock the safe. The elements of nature and technology do not necessarily go hand in hand and nature is the dominant force that tries to enforce balance in society. Most electronic and biometric lock gun safes are made from high quality and durable plastic and while the plastic has been tested, it will still not match the strength of steel when it comes to resisting fire and water element. Plastic may also break faster, but will sometimes provide better insulation to protect against water. That is why it is extremely important to carefully choose the lock type and ensure that your lock works perfectly for your needs and your situation. Biometric & Electronic locks are all dependent on a power source and while some companies have managed to make the safe use less power, it is always a daunting task to ensure that the batteries are operational. With the mechanical lock, you may only need to make sure that all of the gears are oiled every now and again and this will bring you a money saving option that replacing faulty electronic systems and constantly buying batteries. Your budget will determine the route and safe you choose, but one thing that is definitely clear is that the mechanical locking safes are much cheaper than the new and modern electronic safes. 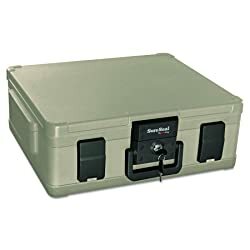 So, if you are looking for a bigger and affordable safe that will cost you less than $500, you should know that the safe will probably be a key coded or combination locking safe and as you will not really need quick access to your rifles, you will have the perfect secure and cheap safe. How to Get The Most Out of Your Mechanical Gun Safe? I have set out a few tips on how to get the best out of your mechanical safe. By understanding these tips and following the rules, you you may never need to pick a new gun safe again. The mechanical safe is great and like good wine, the safe just keeps getting better and staying trustworthy. As with all mechanical things, maintenance is a key part of being an owner. You need to ensure that the locks are maintained and that dust does not accumulate on the locking mechanism as this will hinder your ability to access the safe and the safe may even let you down in important times. Furthermore, if you use the safe a lot, you will need to ensure that the hinges are constantly oiled and kept in prime condition. This will ensure that the safe last longer and that you need not stress about looking for a replacement. Most of these safes are made to last a lifetime and will even offer you manufacturer defect warranties. Steel safes are much more difficult to pry open and to break in. Plastic features may become a weakness and criminals will look for these weaknesses to try and force the safe open. Tubular locking mechanism may seem great, but the plastic may not be great for resisting fires and this may leave another weaker point in your safe. After looking at many safes, we have also found that safes made from 100% steel frames and features are heavier. This will make the safe harder to dislodge and the steel will even expand when the area gets hot. This will give you another layer of protection and ensure that you are always protected. While we highly recommend powder coating, we understand that this could be a more expensive exercise. But keeping your safe powder coated will ensure that the rust cannot easily set in. For the cheaper safes, we recommend a good painting job more often than not. Paint will also ensure that the safe does not rust and that the frame does not damage. The difference between paint and powder coating is simple, the powder coating is more expensive, but it should last you longer than the standard paint job. People living close to the ocean should rather consider the powder coating as the moisture in the air may damage the paint. Unlike electronic and biometric gun safes, key lock safes can be duplicated and technology has now even shown that we could copy a key for the lock without even having a standard key. To ensure that this does not happen, it is highly recommended that you take the responsibility of knowing where all the keys are and it will better if you could keep them both for yourself. They say that two people can only keep a secret if one is dead. That is exactly the same with your safe. When you are the sole owner, you will know that everything is safe and every person that wants access will have to go through you.